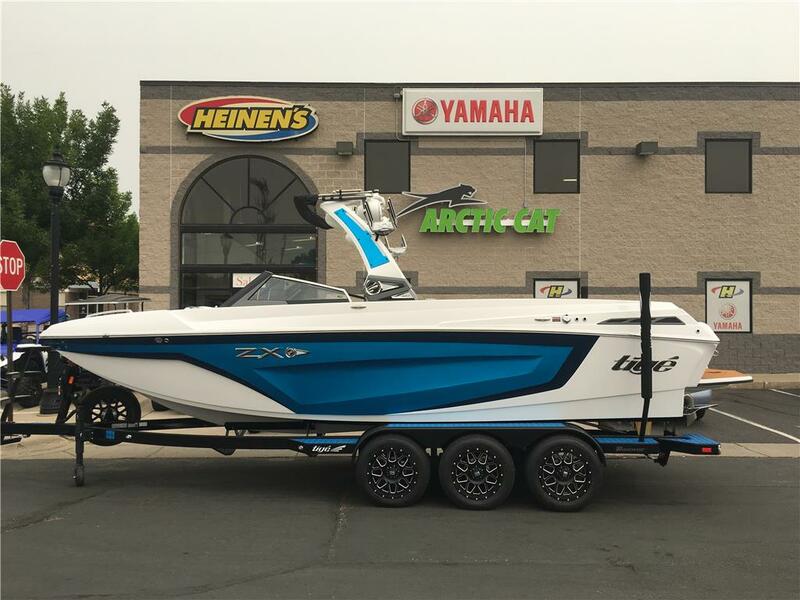 2019 Tigé ZX5! Brand New 25' Surf Monster! Fully Loaded! What do we mean when we say the Super Air Nautique 230 is one of the most rider-accommodating wakeboarding boats on the market? We mean about half of the wake boat’s 16-passenger capacity can be seated backward, facing the action. We mean larger ballast tanks and a remote-controlled, theaterlike sound system. We mean a wake good enough to pull pro-level contests like the Masters and the Air Nautique WWA Wakeboard National Championships. Nautique Boats’ flagship wakeboarding boat truly does live up to the hype, and if it’s good enough for the Team Nautique riders, you’ll be happy with it. The Super Air Nautique 230 is a wakeboarding boat that churns out thick ramps all day long. Tournament-quality wakes just like Danny Harf and Shaun Murray ride at home require a little extra weight, but for most people, the almost 1,100 pounds of factory ballast will be just fine. Be sure all your extra weight and passengers are evenly distributed, and definitely use the Hydro-Gate to help out with faster starts. LINC system Available on the Super Air Nautique 230’s Team Edition package, the LINC system is a digital helm that controls just about everything controllable on a boat in a convenient, intuitive screen that allows you to focus more attention on the water. Length: 23 ft. 1.5 in. Width: 8 ft. 4.5 in. Floor to tower: 76 in. Main lounge: 61 sq. ft.